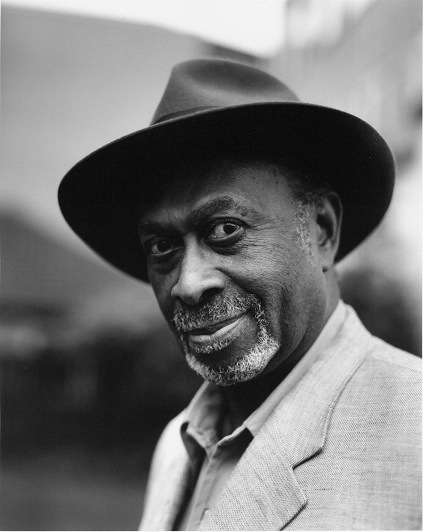 The British Library has acquired the archive of the Caribbean British poet and writer, James Berry OBE. Mr Berry, one of the first black writers in Britain to be widely recognised for his work, came to Britain as part of the first major wave of immigrants from the Caribbean in 1948. He is now celebrated not only in the literary field, but also within communities encouraging and championing the work of new black writers in Britain. Mr Berry’s archive includes poetry notebooks spanning the length of his career, along with manuscript and typescript drafts of his poetry and prose (including notes for an unpublished novel), diaries, photographs and audio visual material. Notes and heavily annotated drafts in the archive illustrate Berry’s creative process and the meticulous attention to detail in his writing. As well as revealing the complex processes behind the creative development of Mr Berry’s poetry and prose, this unique material provides an illuminating first hand insight into the challenging circumstances that many immigrants to Britain faced in the 1940s and ‘50s. James Berry was born in Jamaica in 1924. He worked as an international telegraphist until 1977 when he took early retirement in order to dedicate himself solely to his writing. The archive spans the length of Mr Berry’s literary career from the 1960s to the present, including his early short stories and pieces written for radio broadcasts, including Women’s Hour, in the 1960s and ‘70s. Mr Berry has published poetry collections for adults and children. His adult collections include Lucy’s Letters and Loving (1982), Hot Earth, Cold Earth (1995) and Windrush Songs (2007). His work has won accolades nationally: he has been the recipient of the National Poetry Award and the Cholmondeley Award, given by the Society of Authors. In the USA he has received the Horne Book Award and the Coretta Scott King Award for his children’s fiction. He was awarded an OBE in 1990 and has received an Honorary Doctorate from the Open University. Much of Mr Berry’s work explores the relationship between black and white communities; in particular, the excitement and tensions in the evolving relationship of the Caribbean immigrants with Britain and British society from the 1940s onwards.Windrush Songs (2007), perhaps Mr Berry’s best known poetry collection, has at its heart the experiences of those who felt compelled by economic and social circumstances to leave their homelands in the Caribbean and seek opportunities abroad. As Mr Berry explains in the introduction to the poetry collection, their decision to leave was often tempered by mixed emotions: 'here we were, hating the place we loved, because it was on the verge of choking us to death'. Giving a voice to these communities, and the cross-currents –social, emotional, linguistic - between them, Mr Berry’s poems are characterised by the juxtaposition of Standard English with the rhythms of the Jamaican language with which he grew up. Mr Berry was one of the early members of the Caribbean Artists Movement (CAM) which was founded by Andrew Salkey, John la Rose and Edward Kamau Brathwaite in 1966. The founders of CAM sought to increase recognition of West Indian art forms in Britain and to encourage and mentor burgeoning writers, poets and artists. Just as Mr Berry’s writing and his anthologies have encouraged black children to read and enjoy West Indian poetry, his involvement with CAM enabled him to champion the work of younger black writers and poets, for whom he has worked as a tireless advocate. Mr Berry points out that he makes his work for other people to read and that he always hopes that readers would get something special out of it. “So I am deeply satisfied that the British Library should have taken on my archive as a resource for students and for anybody interested in the writing of poetry and in the development of Caribbean British literature,” he said. Dr Stewart Brown, Reader in Caribbean Literature at University of Birmingham says one of the things that distinguishes James Berry’s work from that of other migrant writers who began to write about the experience of ‘settling in’ - to use a pretty euphemism - in Britain in the decades after the Second World War, is its essential quality of celebration. Helen Melody, Curator of Modern Literary Manuscripts at the British Library says that her organisation is delighted to have acquired Mr Berry’s significant archive, which provides researchers with a real insight into the life and work of one of the first Black writers in Britain to gain widespread recognition. “London has had a long history of welcoming waves of migrants from around the world and the inclusion of this material in the national collections will enable research into, and greater awareness of, the significant impact of the Caribbean Diaspora within the literary landscape of the UK,” Ms Melody said.